It's Monday. Who would've expected that? ... Ok, so everyone expected that. But still. We're back again in the office and it's time to make your gaming tables look good. Another time with just a single piece for you. Remember, everyone, I'm but one bear. If you know of cool gaming stuff going on out there like terrain kits and whatnot, let me know about them via the News Submission form. It's not just for industry people, but anyone who's got a hot tip on a gaming story. 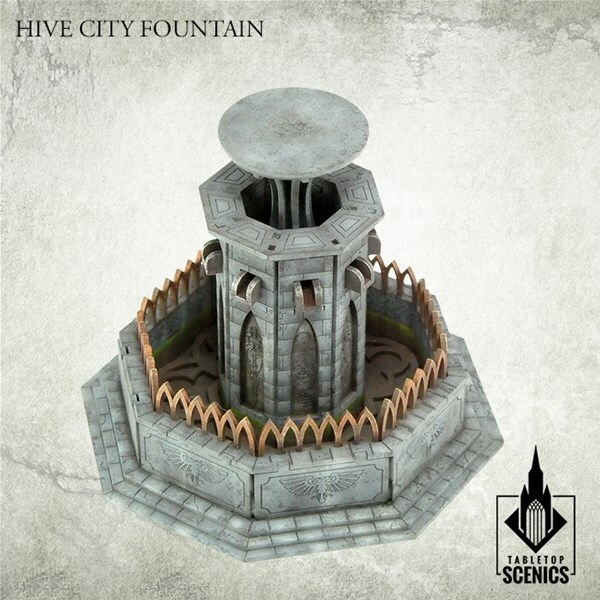 Anyway, today we've got: Hive City Fountain Available From Tabletop Scenics. Contents of this frames may be used to make one Hive City Fountain structure.